As you may or may not have seen; I recently took over Well&Truly's Instagram story for the day and I had a brilliant time sharing with you 'a typical Sunday' for me. I'm not one to usually share much about my lifestyle or what I do on a day-to-day basis but it was actually pretty insightful and I really enjoyed sharing a little part of my life with you all - albeit just for one day. 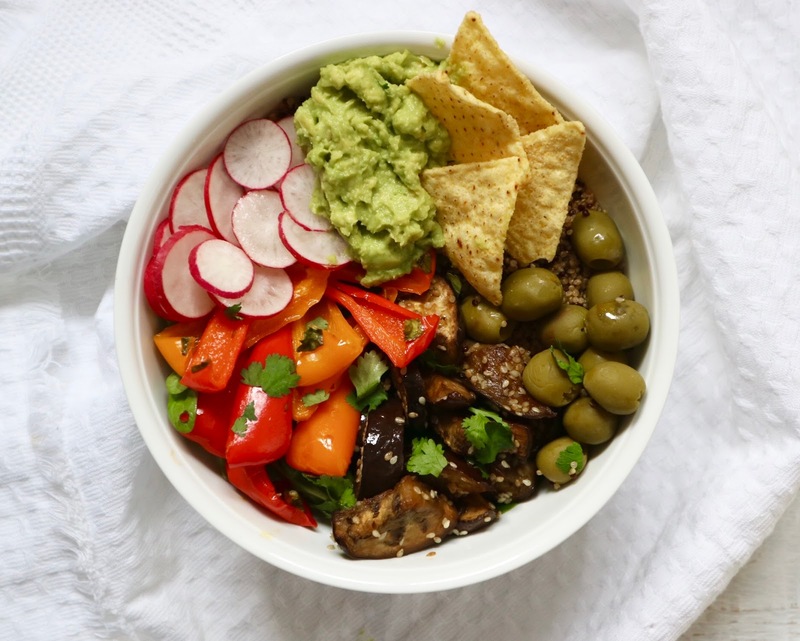 For my dinner I created this vibrant and colourful Buddha Bowl - full to the brim of veggies, a big dollop of smashed avo and a mix of sweet, soft, crunchy, salty flavour combinations. I love making bowls like this, they are so easy and you can add (quite frankly) anything you fancy or whatever is left in the fridge, so it's cost-efficient and wont take you ages slaving away in the kitchen to make. > Roast the sweet peppers in some coconut oil for around 20 mins on 180 fan. > Slice up the aubergine and place into a hot pan with some soy sauce and sesame seeds - saute on a low heat for around 10 minutes or until softened. > Place the avocado into a bowl along with some seasoning and a splash of lemon juice and mash using the back of a fork until smooth and creamy. 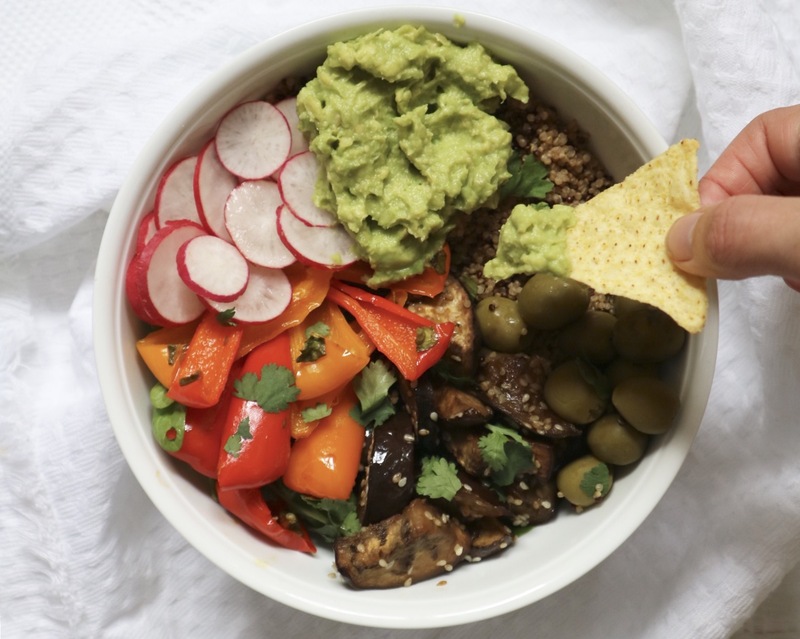 > Build the bowl up starting with the quinoa, then top with some sliced radish, aubergine, peppers, olives and a big dollop of the smashed avo. Finish by sprinkling the aubergine with sesame seeds and fresh coriander. > The final touch - Add the Well&Truly gluten free tortilla crisps for that extra crunch. Quick, simple and delicious! To find out more about Well&Truly's products click here.